Aloe Vera is profuse in Vitamins B12 which helps make DNA and maintains blood and nerve cells. Folic acids is essential for new cell growth, along with Vitamin A, C & E nature’s antioxidants. Antioxidants prevent ageing and cell damage. Calcium Selenium and Magnesium are profuse in the Aloe and these strengthen and increase collagen production at a cellular level. Aloe Vera Gel is soothing, calming and anti inflammatory. Enzymes, fatty acids and salicylic acids along with a generous content of enzymes make this leaf truly a gift from nature. Wonderful for healing and soothing sunburn, skin disorders, wounds and dermatitis. Aloe Vera is found in all beachouse organics products. Replacing aqua, enhancing not diluting the efficiency of our products . Cocoa Butter is a vegetable fat extracted from the Cocoa Bean. It’s used are many and varied Chocolate and Skin Care. Its main constituent parts are monounsaturated and polyunsaturated fats. These combine to produce a smooth moisturiser with healing and scar reducing benefits. Suitable for all skin types. Its light- slightly chocolate aroma combines with most oils and proteins. Cocoa Butter can be found in beachouse Body Creme, Lip Stix, Day Face Drink, Night Affair and 3b Creme. Shea Butter is extracted from the seed of the Karite Tree (found in Africa). It has a complex fat composition, melts at body temperature and can be applied to most skin types with no adverse reactions. Highly moisturising, it absorbs rapidly into the skin and has great water binding qualities which make any skincare it is produced with equally highly moisturising. High quantities of Shea are used in soap production as it is unsaponifiable which means it has an oil and wax composition and does not absorb caustic qualities. You can find Shea Butter in beachouse organics Castillo Soap Bar, Body Creme, Day Face Drink, 3bCreme, Night Affair and Lip Stix. Macadamia oil consumed or used in skincare has multiple benefits for the skin. Extracted from the nut meat of the Macadamia Nut, a tree originated in Australia and used for many years by the indigenous people. Nutrient rich with high levels of Selenium Zinc and quality fatty acids. It is also rich in Palmitoleic Acid which is a powerful antioxidant that suppports cell regrowth hydrated cell membranes and skin healing. With high levels of Vitamin A, B1, B2 and essential skin healing elements of niacin copper and iron zinc and magnesium. You will find Macadamia oil in Ageless Gold Serum, Body Creme, Night Affair and Day Face Drink. Raspberry Seed Oil absorbs UVB and UVC rays so is an excellent broad spectrum sun screen. It has the highest content of Alpha linlolenic acid any fruit oil. It has quality and quantity of Phytosterols that are extremely helpful for eczema and psoriasis skin conditions. The elegiac content is a powerful antioxidant, so contributes to its efficacy as an anti ageing ingredient. Elegiac acid protects the skin from destructive elements that damage collagen and inflammation which contributes to the ageing process (wrinkles). It also protects against ultra violet damage. Very high in Vitamin E - an antioxidant. These are so important in skincare to prevent oxidative damage which can lead to premature ageing and skin cancers. The very high levels of phytosterols help reduce trans epidermal water loss - thereby helping the skin moisture (hydration). Phytosterols help repair skin damaged by environmental factors. Beachouse uses avocado oil in many of its formulas - especially Ageless Gold Serum. Baobab oil. This tree is found in the Kimberly region of north west Australia. A powerful bush essence that has many beneficial qualities for the skin. Healing and rehydration being just two. It can also aid in negative feelings and ensuing patterns of depression. Baobab is thought to bring about profound change. The flowers also create a wonderful bush essence . This peptide rich extract was found by accident during the avian flu (bird flu epidemics). It was found the bacteria present when the flock was fed a kimchi diet was able to provide immunity to the birds. Made by adding Kimchi and Radish Roots and then isolating the peptides with the anti microbial activity. Applied to the beachouse organic formula at .02% concentration this natural product can be used as the sole preservative in natural formulations. Extending the shelf life naturally. Radish Root Ferment Filtrate is approved by most certifying bodies and the giant Organic supplier Wholefoods USA. Prickly Pear Cactus Stem Extract. Soothes and protects with water binding polysaccharides. High levels of skin essential amino acids that reduce nerve cell marker activity to help reduce & block environmental stress damage. Prickly Pear has excellent hydrating properties as it is rich in moisture cell compounds. 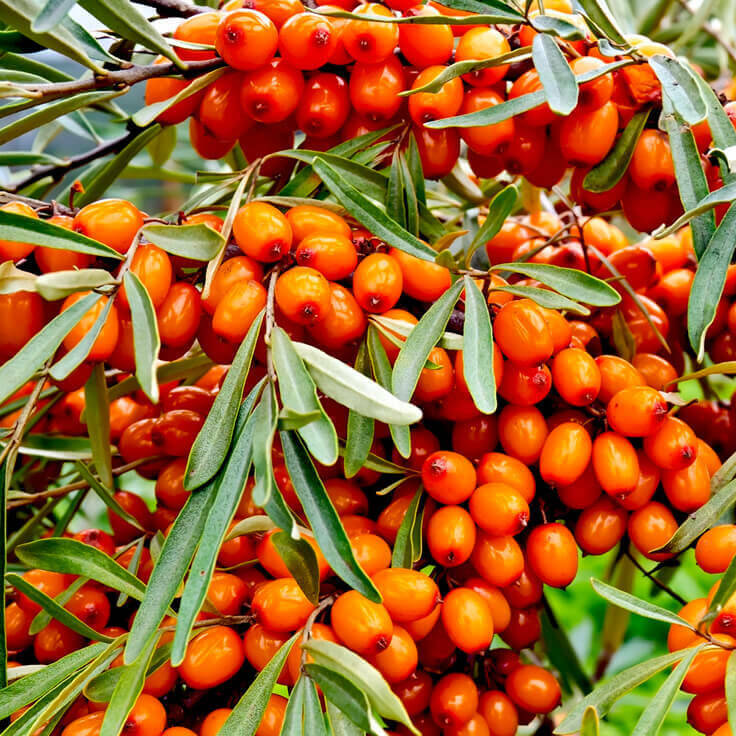 This is one of the most potent of antioxidants and bio active skin foods available. It contains over 100 age reversal actives, including abundant levels of Vit C & A, B1 & B2, E, K and P.
Essential Fatty Acids of 3, 6, 7 plus carotenoids, flavonoids, lycopenes, phytosterols and various minerals. All these are tissue regenerating, combating dry irritated skin and the formation of wrinkles. Because it has a high nutrient content its ability to reduce the damage created by the sun is excellent. Eczema, Rosacea, and Psoriasis can benefit also. This vitamin like substance is found in every cell in your body. COQ10 plays an essential role in cellular function as an antioxidant. Penetrating the cell layers and assist in cell turnover and thus reducing the depth of wrinkles. From Melanesia. This sticky yellow oil is rich in Calophyllic Acid. Restructuring new tissue, hydrating and rejuvenating in an integrated holistic way. It’s ability to fade melasma (age spots) is legendary. Protects and heals. Assists in revitalising and refining the complexion. 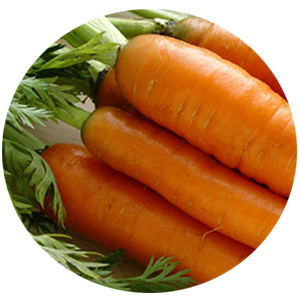 It contains an abundance of Pro vitamin A, Carotene and Carotenoids, giving the oil its bright gold glow. Skin rejuvenating it helps to alleviate the stress of the environment. It protects the external skin layers, prevents cornification of the skin and reinforces the skins resistance. In conjunction with Raspberry Leaf oil it creates a mild protection from sun burn. Vit A which provides caratonoids to act as antioxidants that protect free radical damage to the skin cells and encourages eye health. Plus Ellargic Acid protecting the skin from UV B radiation. Iron 10 - boosting red blood cell production and circulation. White blood cell production and serve as an antioxidant that can neutralise harmful free radicals, 9 that harm and accelerate the ageing process.